One of the campaigns attempting to recall Oakland Mayor Jean Quan from office is raising thousands of dollars to pay for professional signature gatherers. But the group, the Committee to Recall Mayor Quan Now, is refusing to disclose the identities of its donors or exactly how much it has raised. And under lax state reporting rules, the group doesn’t have to — at least not for six more weeks, by which time the group expects to have collected thousands of signatures. The same weak disclosure laws, meanwhile, also are allowing a group that formed to support Quan and fight the recall to keep its contributors secret until at least April 30 as well. 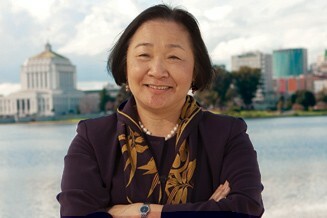 According to Lynda Cassady of the California Fair Political Practices Commission, the state organization that enforces campaign disclosure laws, committees formed to recall a public official from office, or to fight such recalls, are considered to be like “ballot measure” committees, and so they must obey different reporting rules. The reason is that these committees are raising money for a recall election that may or may not happen. The recall group must gather about 20,000 valid signatures by July 2 to trigger a November recall election. However, reporting rules for local recall elections are weaker than for statewide ballot measures. For example, the committee backing Governor Jerry Brown’s tax proposal must immediately disclose all donations of $1,000 or more. But the committees for and against Quan can wait at least until April 30 to report their donations — no matter how large they are, Cassady said. As a result, the committees might be raising — or have already raised — tens of thousands of dollars on a key issue in Oakland, but can withhold from the public the identities of the people, special interest groups, and corporations funding them until April 30. Len Raphael, treasurer of the Committee to Recall Mayor Quan Now, indicated in an interview that his group had raised at least $10,000 by late last week. He said the group has been collecting numerous contributions from a variety of donors. He declined, however, to reveal the identities of the donors, how much money each contributed, or the exact total amount the group had received until April 30. Alan Yee, treasurer of a group formed to fight the recall — Committee Opposing the Recall of Mayor Jean Quan, also known as Stand With Oakland — did not return a phone call seeking comment for this story. Yee is a longtime friend of Quan’s and she appointed him to the Oakland port commission last year. Yee's group also has until April 30 to disclose its donors and the amount it has raised, though Pamela Drake, a coordinator for the group, said it may release the information sooner than that. Correction: The original version of this post erroneously stated that Stand With Oakland is separate from the Committee Opposing the Recall of Mayor Jean Quan.